Current students’ fondest memories of NJIT often include late nights studying or socializing in the Campus Center, leading one of the student organizations, participating in the Greek Life community or working on one of numerous community service projects. NJIT supports more than 140 student organizations on campus and hosts hundreds of activities each year. Review the list of annual giving fund opportunities and choose a fund that resonates with you. We’re very grateful for your support and together, we will make a difference! As educational costs increase each year, the Annual Fund becomes more important to the university and NJIT students. The university must seek financial balance from a variety of sources-including annual gifts. Throughout the years, alumni and friends of NJIT have recognized the importance of an education focused on science and technology. The Annual Fund is a dependable source of unrestricted dollars that can be applied to the areas of greatest need. Student scholarships and financial aid, curriculum enhancements, athletics, as well as library and laboratory resources are just some of the areas that benefit from the generosity of Annual Fund donors. Gifts to the Annual Fund assist in addressing the areas of greatest need and opportunities. From groundbreaking academic investments, state-of-the-art technology upgrades to financial assistance for students - designate your gift to the Annual Fund and see your dollars go to work immediately. The NJIT Highlanders are dedicated to supporting excellence in athletics, academics and civic responsibility. An investment in your favorite team empowers NJIT student-athletes to accomplish continued success. Click here to view team schedules and athletic initiatives for the upcoming academic year. 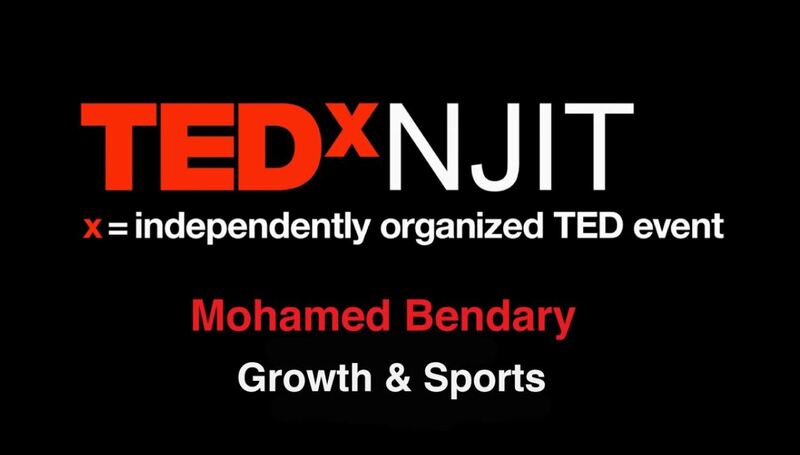 Please take a moment to watch Mohamed Bendary's TEDxNJIT talk on "Growth & Sports", November 2018 by clicking here or on the image below. Your support of general scholarships provides increasingly necessary financial assistance for NJIT undergraduate students throughout their career at the university. Many of the students continue to be the first in their families to attend college, and assisting them in achieving this quality education is integral to their future success. The NJIT Highlander Student Emergency Fund is provided through the funds raised by the alumni, faculty and staff at the university. This fund is for limited financial assistance when students are unable to meet immediate, essential expenses because of temporary hardship related to an emergency situation. The dollars provided through this fund are not a loan. However, students receiving support are encouraged to replenish the fund, so that other students may also benefit. Grants are available up to $500. Applicants must state the amount requested, describe their emergency and provide documentation to support that amount request with their application.